Ok, so maybe the Iguanodon may have been a quadruped after all in a limited fashion and within some species. Though this is a little more recent, and a slightly nuanced position to take on this. However it was interesting to do a quick series of drawings to try and cover a small selection of fairly dominant interpretations of a particular genus over time. Especially one like the Iguanodon. 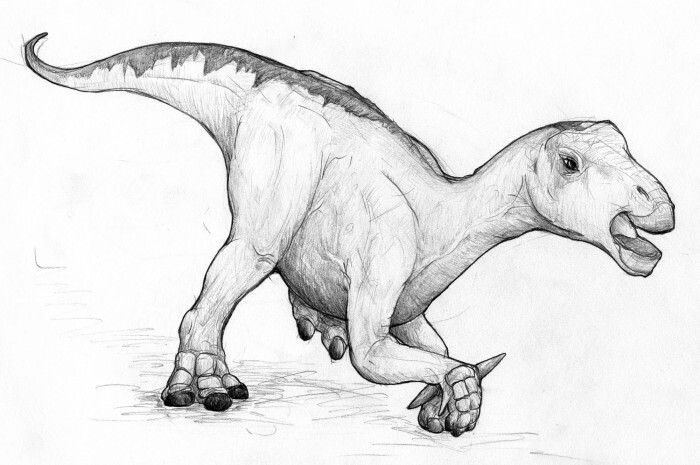 This entry was posted in Scanned Desksketch and tagged Dinosaur, Iguanodon, paleoart, Retro by Anthony. Bookmark the permalink.